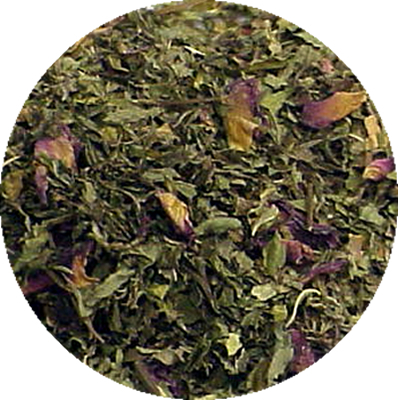 CERTIFIED ORGANIC: Caffeine free - Rose petals, rose hips, peppermint and spearmint. Visually impressive and deliciously aromatic. A strand of flavors that seems to change from sip to sip. 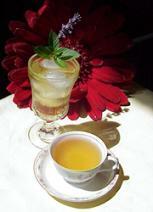 Nice all by itself and makes a great iced tea or sweetened iced tea. Takes sugar well.